India’s overall mobile phone shipments grew 37% and smartphone shipments grew 12% with feature phones growing an astonishing 55% during 4Q 2017. Despite India’s seasonal peak normally being pre-Diwali shipments in the third quarter, the market set a volume shipment record in the fourth quarter for the first time. The competitive landscape has changed significantly in the last year, with the rise of brands such as Xiaomi, OPPO, VIVO in the smartphone segment and players such as Reliance Jio, Nokia HMD and iTel in the feature phone segment — all able to disrupt the market with high-quality and attractively-priced offerings. During the second half, players such as Xiaomi was particularly disruptive with an aggressively-priced, broad portfolio taken to market with an effective channel expansion strategy. This helped Xiaomi to surpass the long-time market leader, Samsung, for the first time ever. This performance ended Samsung’s six year market dominance. Reliance Jio captured a 26% share of the feature phone segment in just one quarter with its compelling value proposition compared to the normal 2G feature phones. 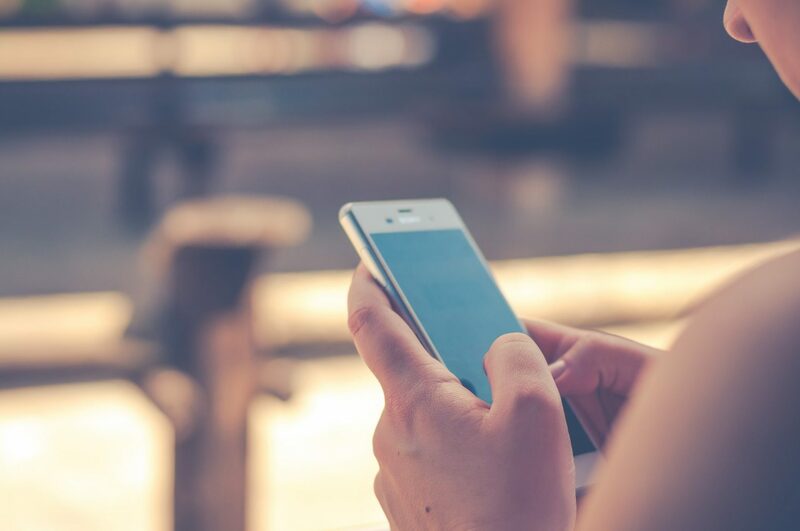 We expect the 4G feature phone segment will be a 200 million unit opportunity by volume, over the next five years as the hundreds of millions of current feature phone users in India are likely to upgrade to VoLTE handsets. While Jiophone saw healthy sell-in during 4Q, we believe the operator exited the quarter with some inventory, which could affect its share in coming quarters. Affordable mid end segment (₹10,000-₹15,000 or US$150-$230) was the fastest growing segment (+52%)in CY 2017 driven by the strong performance of Xiaomi. The Chinese vendor alone, contributed to almost 37% of the shipments in this segment. 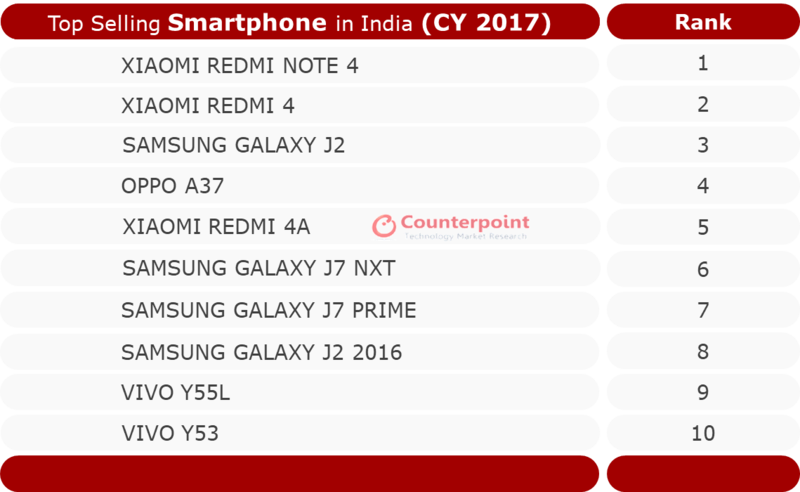 Xiaomi ended CY 2017 in India on a very strong note. Not only the brand grew 259% YoY but also saw three of its models within the top five bestselling smartphone list of CY2017. Samsung had the most number of models in the top 10 selling list of CY2017 leveraging its advantage of a strong presence across all the price bands.